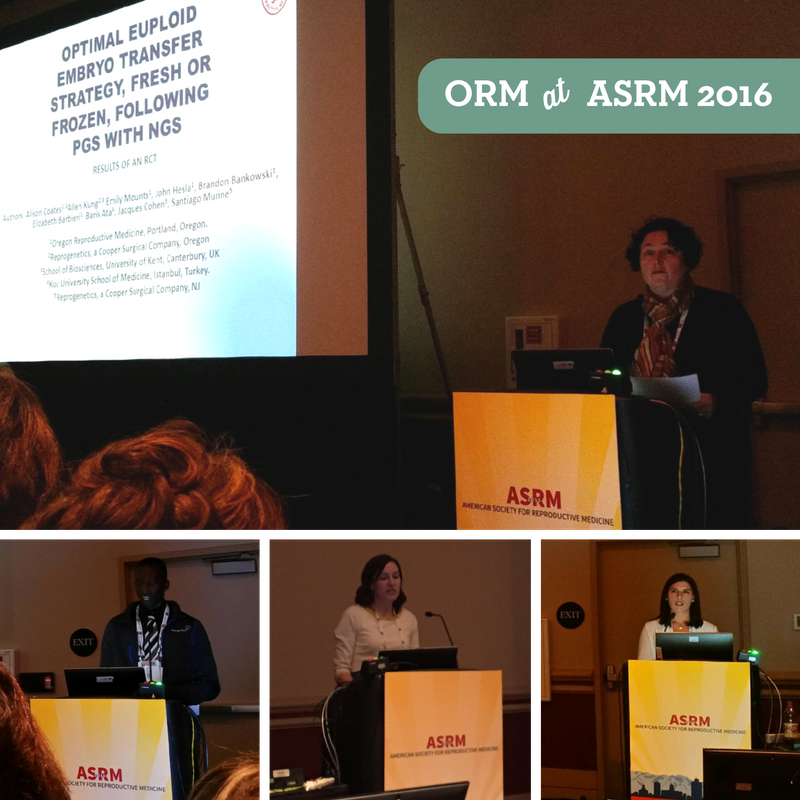 Last week at the 72nd Annual Meeting of the American Society for Reproductive Medicine (ASRM) in Salt Lake City, Utah, several Oregon Reproductive Medicine team members were invited to present their research and share their expertise in the field. Alison Coates, our Embryology Laboratory Director, presented our randomized controlled trial comparing two commonly used protocols (fresh vs frozen) to transfer embryos with normal Comprehensive Chromosome Screening (CCS) results. Our research, Transfer Fresh or Vitrify After Blastocyst Biopsy? Results of an RCT was selected as the Society for Assisted Reproductive Technology Prize Paper. We are so thankful to all of our patients who participated in this landmark research study! Oral research abstracts and interactive discussions were also presented by ORM team members Eugene Yeboah (Research Associate, Reprogenetics), Emily Mounts (Director of ORM Genomics) and Jacqueline Isaac (genetic counseling student). See the Publications page of our new website, for details on all 8 ORM scientific presentations!